“We want our supporters to see that they are helping to make a difference in people’s lives,” says Melissa Fisher, Director of Development at CAMBA, speaking about our annual gala, CAMBA Night Out. Each year, CAMBA creates a video to showcase the comprehensive work we do and show it at the gala: from providing housing for low-income and homeless New Yorkers, to legal and workforce aid to immigrants and refugees, as well as operating several successful education and youth development programs. This year’s gala takes place November 1. The purpose of the CNO video is for the audience to “hear stories from the people who use our services, learn something about their journeys, and get a glimpse into the many ways that CAMBA transforms lives every day,” says Melissa. 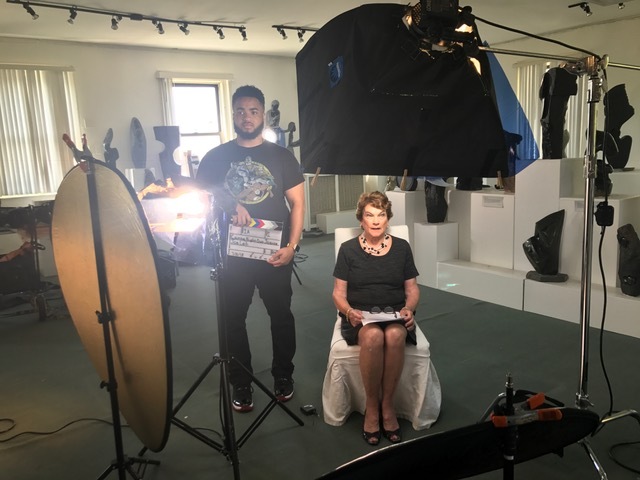 This year’s video includes CAMBA’s President and CEO, Joanne Oplustil, who sets the stage for the other participant’s stories. Those participants featured in the video include employees, clients and former clients and represent CAMBA’s main areas of focus, including economic development, education, health, housing, and legal services. In previous years, CNO videos have showcased different programs and successes of the organization, including our work with immigrants; our efforts to help individuals and families get back on their feet after grappling with addiction or illnesses; our youth development Leading to College partnership program; and a focus on CAMBA Housing Ventures – efforts where CAMBA combines housing with support services. This year’s video also features one surprise appearance by a noted New York City official who has publically praised CAMBA for the work we do. Make sure you stay tuned to find out who it is. We post our videos to CAMBA’s YouTube channel. CAMBA’s annual CAMBA Night Out gala will take place on Thursday, November 1, 2018 at Tribeca 360°, located at 10 Desbrosses Street in New York City. If you have any further questions about the event, contact Melissa Fisher, Director of Development, at melissaf@camba.org or by phone at (718) 287-2600 x20321.